Brilliant Uncirculated coin set for The Royal Mint, honouring the Pals Battalions of WWI. 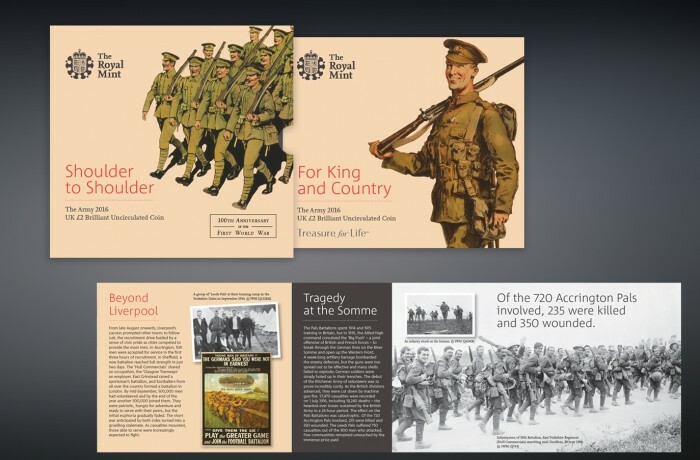 Images for the pack were sourced in conjunction with Imperial War Museums. We also designed the certificates, booklets and packaging for the precious metal coins in this series.